The memoirs of New Zealand’s most widely respected Salvationist historian capture the essence of the twentieth century. The book details 85 years in the life of Cyril Bradwell. This is not the account of an insular or narrow-minded life, but that of a Christian man of rich experience and broad vision – a Salvationist, musician, athlete, military serviceman, and high school educator. 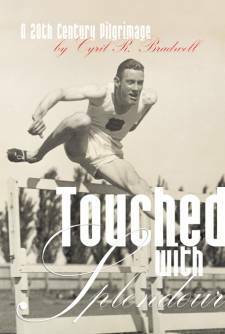 As well as providing insight into 20th century Salvation Army life, Touched with Splendour tells of Cyril’s deep love for his late wife Nola and pays tribute to the people who crossed his path; friends who ‘added something precious to the texture’ of his life. The experience of entering the life of this passionate Christian man may change our own. [Cyril is a] writer of integrity who is absolutely realistic about human nature but always sees the best in people. [I hope that Touched with Splendour] will find the widest possible readership and that people will be blessed through it. When a life is placed in the hands of the Lord Jesus Christ, there are no limits and that life is touched with splendour.